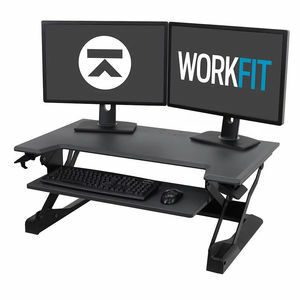 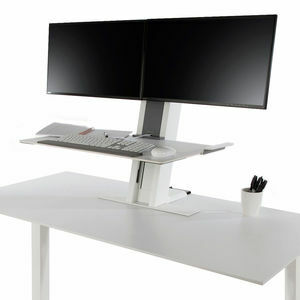 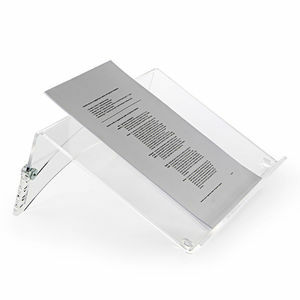 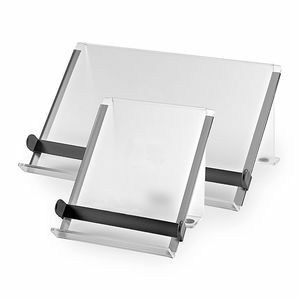 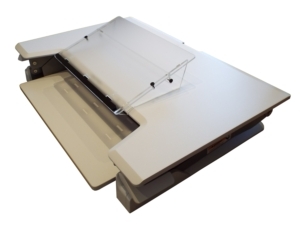 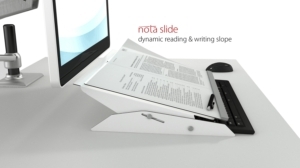 Sometimes, something simple like a document holder or a laptop stand may be all you need to make your workstation more ergonomic and improve your posture and comfort at work. 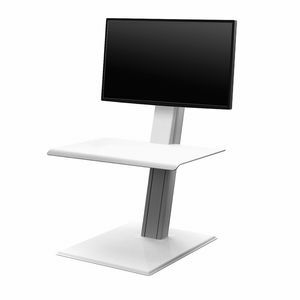 Having a monitor too low will force a downward viewing angle which can cause strain on the neck and back. 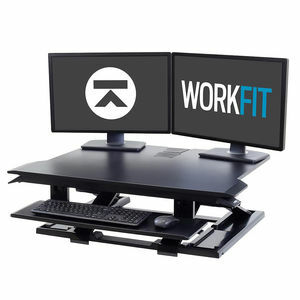 Similarly, having the monitor too far away can cause the user to lean forward whilst a monitor too close will cause strain on the eyes. 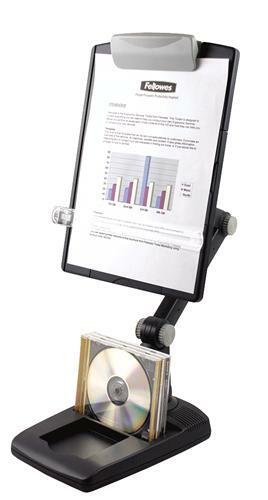 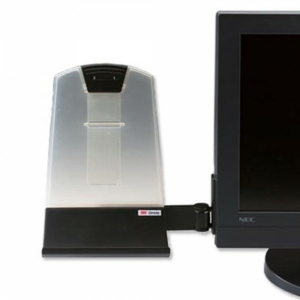 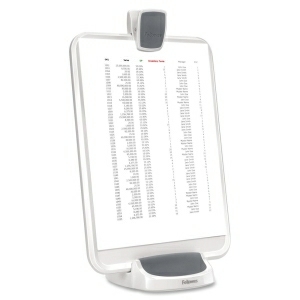 A monitor raiser allows the monitor to be positioned at the correct viewing height and distance. 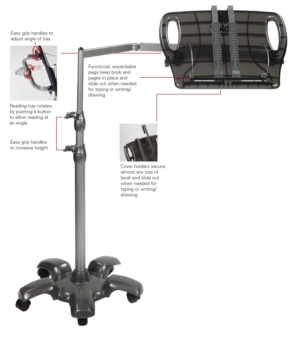 Monitor arms such as the Viewmate monitor arm offer a fully adjustable option, perfect for multiple users. 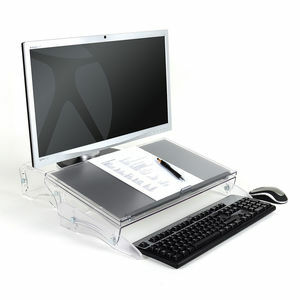 Laptops were not designed ergonomically - they encourage a poor posture and position the screen too close to the user. 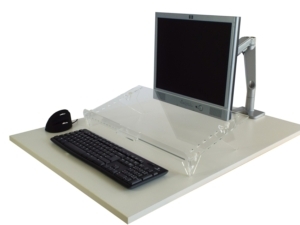 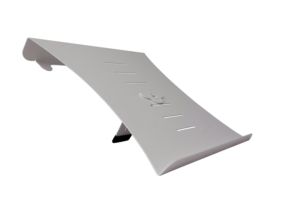 However, with the use of a laptop stand, the laptop can be raised to the correct height and distance. 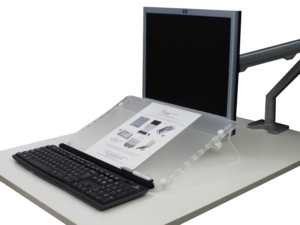 For a fully ergonomic laptop solution, use a seperate keyboard and mouse from our laptop kits. 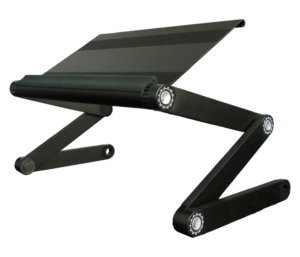 Carrying a laptop causes strain on the body from the weight. 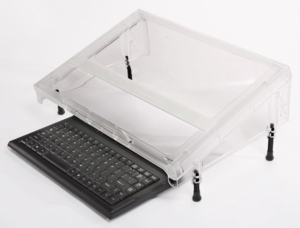 By using a laptop bag, portable workers avoid this strain and significantly reduce the liklihood of muscular injuries. 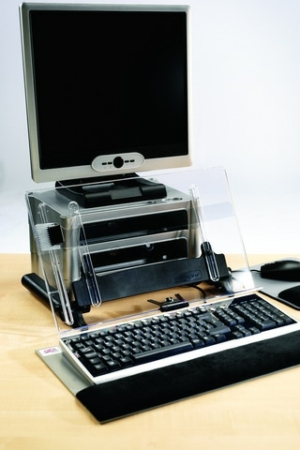 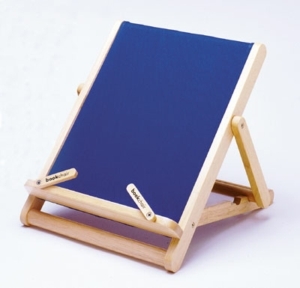 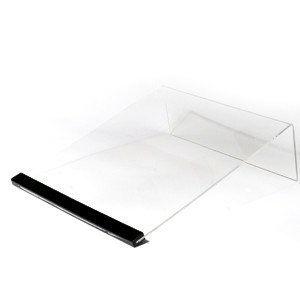 We have a range of screen filters to avoid glare, offer privacy and also magnify the screen for individuals with visual impairments.